ABUJA-THE Force Headquarters has invited the Senate President, Bukola Saraki, to appear before it following his alleged roles in the criminal activities in Kwara State which resulted in killings of 33 people and robberry of some commercial banks in Offa area of the state. Force Public Relations Officer, Jimoh Moshood, who said this while parading seven additional suspects arrested in connection with the killings and robbery incidents in the state. 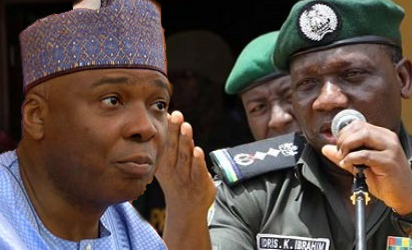 Mr Moshood, an Assistant Commissioner of Police, ACP,said the invitation extended to the Senate President followed confessional statements by the arrested suspects to the effect that he and Kwara State governor, were their sponsors. The Force Public Relations Officer, however, did not state the date the Senate President is to appear.